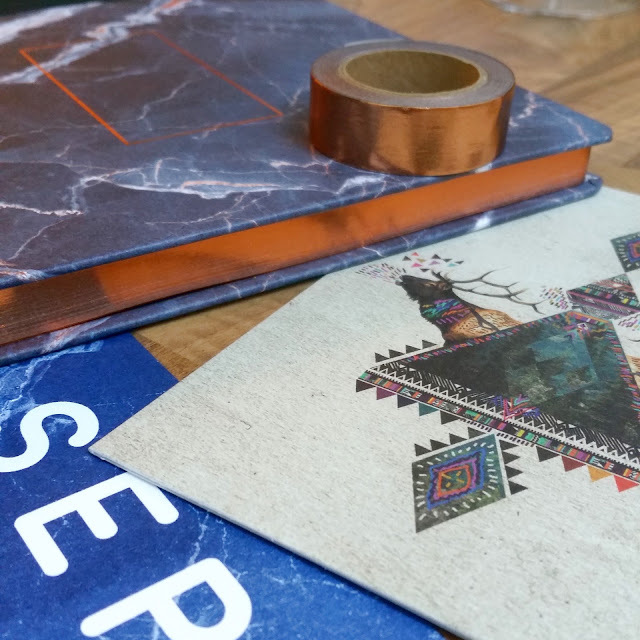 The September Papergang subscription box from Ohh Deer sets the bar high. It really shows that quality over quantity rules the roost. I have been impressed with every box I have received so far but this one has been a real stand out month. 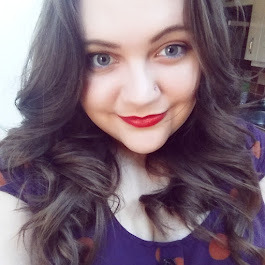 This month is all about their new autumn/winter collection and it totally hits the spot with me. Deep blues and purples, copper and marbled patterns. This is the highlight of the box and holds the bulk of the weight and value. This beautiful notebook has a thick marble effect cover that is sturdy and has copper detailing. The pages are lined on one side and blank on the other meaning that it would make a great diary, sketch book or scrap book. I am going to use it as a type of photo album, documenting our beautiful puppy growing up. The pages are also copper edged meaning that the edges look gorgeous when the book is closed. I love metallic washi tape so I was happy to see this in the box. It doesn't state, but it looks to me like a 10m roll so for the £2.50 price tag, it is nice and generous. Ohh Deer is well known for being a collective platform for artists to share their designs, and the card that I received this month was designed by Kris Tate. A percentage from each card sold on Ohh Deer is returned straight to the artist. I really like the design that I received. I know there were several versions available but I'm happy with mine and it is going on my office wall for me to stare at every day when I'm working. In last month's box we received a mini clipboard with an August calendar sheet attached so I was wondering whether these might become a monthly addition to the box. I'm really happy to see that I was right. I find them really useful to have propped up on my desk because I'm in a constant state of not knowing what day or date it is (is that what working from home does to you?!). 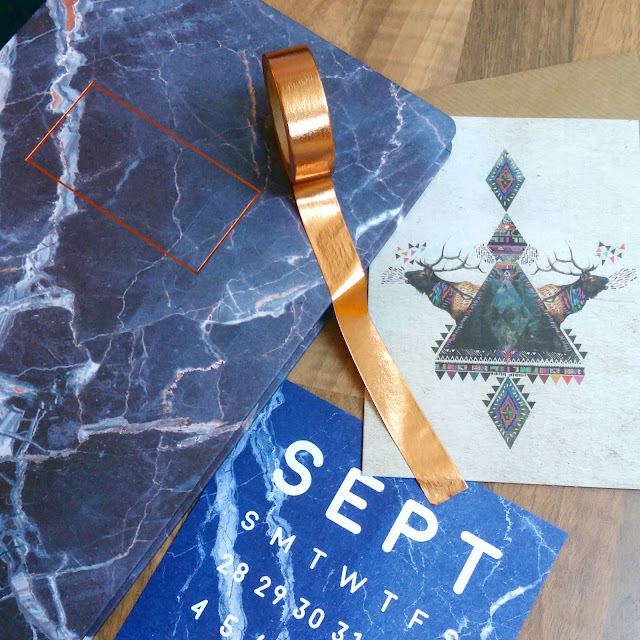 The September sheet shares the same beautiful marble pattern of the notebook. I do think that £1.95 a sheet would be rather expensive if I wasn't receiving them as part of the box, but in this context they make a nice little addition. A subscription costs £9.95 monthly with £1.95 postage cost *here* and you are also able to purchase several months in advance for a discounted price. I just use the one month rolling subscription and find that to be good value. The contents of this month's box come to £19.90. As I mentioned earlier in the post, this box has been my favourite so far because I am a big fan of quality over quantity and this box really screams that message. There isn't anything here that is just a novelty that won't be used and it doesn't just feel thrown together like a couple of the earlier boxes did. If this is a sign of things to come then we could be in for some fab things! 1 going to in the animate as well as precious metal hublot replica sale about the call, the actual bezel and also the straps, as well as people is going to be scared in order to plan which this can be a reproduction rado replica sale and never the actual aboriginal. The actual tag heuer replica is a good option within reproduction wrist watches having a choice that means it is simple to find some thing for the design as well as requirements. Purchase 1 as well as display your own luxurious jewelry right now. Buy Immaculate Rolex Replica Watches. Include Rolex Box & Papers With Warranty. Shop replica watches From UK Just 59. With 0 Finance & Free Delivery. Low Prices on Rolex Replicas. Free UK Delivery on Eligible Orders. Offers a variety of replica watches uk including Audemars Piguet, Rolex, Omega, Breitling, Panerai, and other luxury watch replicas. Largest Selection of Pre-Owned hublot replica.